All my life I have been obsessed with horses but until just 2 years ago I had never ridden. It came to one summer holiday and I just decided to give it a try, so I joined one of the riding holidays at Penshaw. In my first lesson I couldn’t even trot, put a saddle on a pony and I was a bit scared of tacking up! Everything was new to me but I was hooked from day one and started having regular riding lessons on a Saturday. I loved being around horses but it was more than that to me, this was a hobby at which I could improve and I was determined to get better and better. 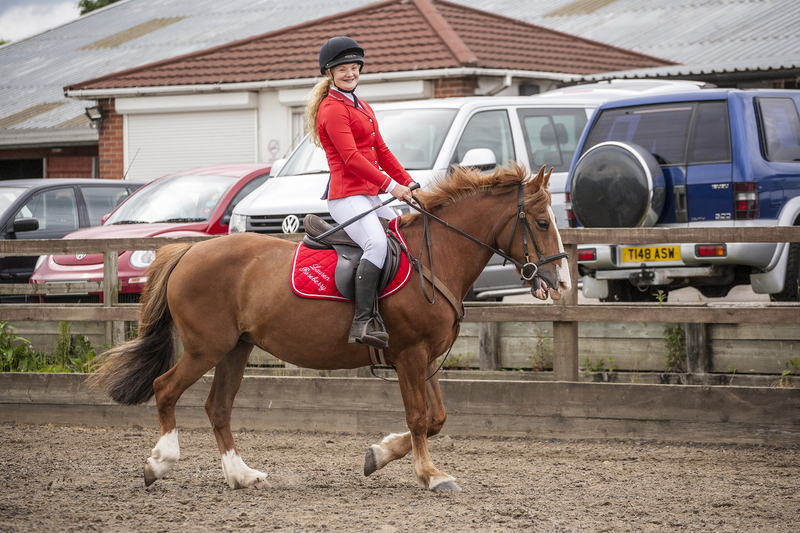 I really used each lesson opportunity to progress my riding technique and experience, and it was great to be able to move through the different levels of classes and to ride different and more challenging horses as my skills improved. Penshaw have competitions nearly every Friday, and I would watch the people in them, thinking how one day I would be one of them. Eventually I took a deep breath and entered my first competition! Although it was nerve-wracking, everyone was so helpful and supportive that I thoroughly enjoyed it and from then on I was hooked! I am quite competitive and I find competing to be so much fun! It means I get to set my own goals and it feels so satisfying when I achieve something. You can compete in a variety of dressage tests and show jumping classes and there are always new judges that you can learn so much from. The staff are always so supportive and they encourage me to keep trying and keep achieving. Now here I am 2 years on from my first day at Penshaw and having achieved more than I could have ever dreamed of. I have loved watching my progression; from my first pole, to the tiniest of cross poles, to my first clear round and now competing in 85cm classes. I compete and win regularly around the North East, on my favourite horse Bianca, and I have Penshaw to thank for everything. They have helped me massively with showjumping, cross country, horseball and dressage and they are always encouraging me to try new things. 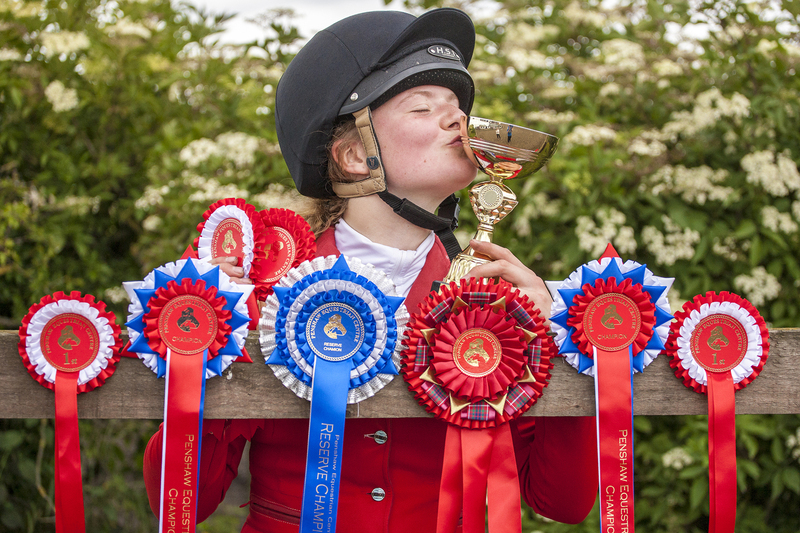 My biggest achievement would probably be winning all of my classes in one of the showjumping competitions and without Penshaw this would have never been possible. Do you fancy giving Maddie a run for her money in our competitions? 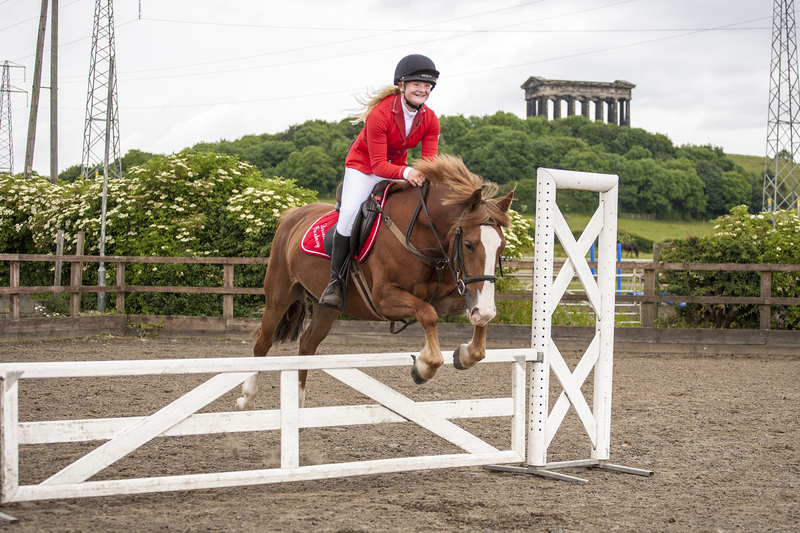 Whatever your level you can start your competitive career here at Penshaw with us - even if you've never ridden before! View our lesson prices here. View our current events here. And don't forget to contact us to book your induction lesson with us! We're running a special Summer 2016 offer of only £15 for your initial induction. Best way to contact us is to message us on Facebook. Or, you can call us on 0191 584 4828.